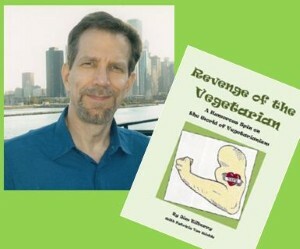 Written by a passionate vegetarian, Jim Tilberry, "Revenge of the Vegetarian" is an amusing, irreverent, and often hilarious book that covers a range of topics about vegetarianism and the meat-eating culture. The author has his tongue firmly planted in cheek, while taking humorous jabs at a variety of easy targets. Get a silly lesson on how to deal with meat eaters in social situations. "Revenge" pokes fun at vegetarians, vegans, liberals and conservatives. But it pokes the most fun at meat eaters. This short entertaining book is ideal for any vegetarian or vegetarian wannabe with a sense of humor. Some adult language. Not appropriate for children. Jim Tilberry is a thin vegetarian living in Chicago, the city of big shoulders and even bigger waistlines. He has lived a meatless life since 1998 when he was visited by a pig in a dream asking him to give up bacon, ham and all other meat. Knowing that pigs are very intelligent he never questioned the request. Read a great review of the book by Pittsburgh Frugal Mom. 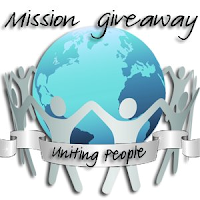 The Giveaway will open up on Monday 10/22 at 10 pm EST and Close on Friday 10/26 at 11:59 pm EST. Check out the Revenge of the Vegetarian website and leave a comment below stating if you think this would be a book you'd like to read. Click on this link and find the mystery word(s). Copy/paste that word into the entry form below. I do like to laugh, so I think I would like to read this. I would read it sounds fun. yes, this book sounds like alot of fun and will laugh alot!